Hello guys! For this post I have another double lightning bolt to show you. I used yesterday's mani for it, which was the beautiful purple OPI Funky Dunkey. On top I used my favorite silver Millenium from China Glaze and for my third color I picked Essence Trust In Fashion. In hindsight I wouldn't have used Trust In Fashion. The color is really pretty but the polish was a tad too sheer for a tape mani, so I had to apply a thicker coat which affected the crisp lines on some fingers. But fortunately that problem was easily fixed with a little touch up using a nail art brush. 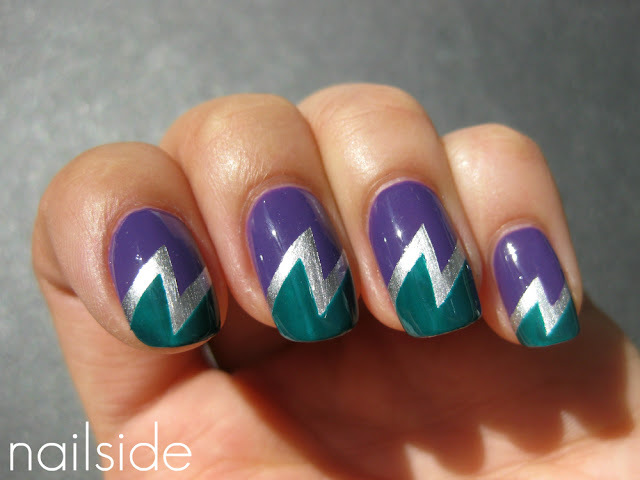 I love the colors, great mani ! 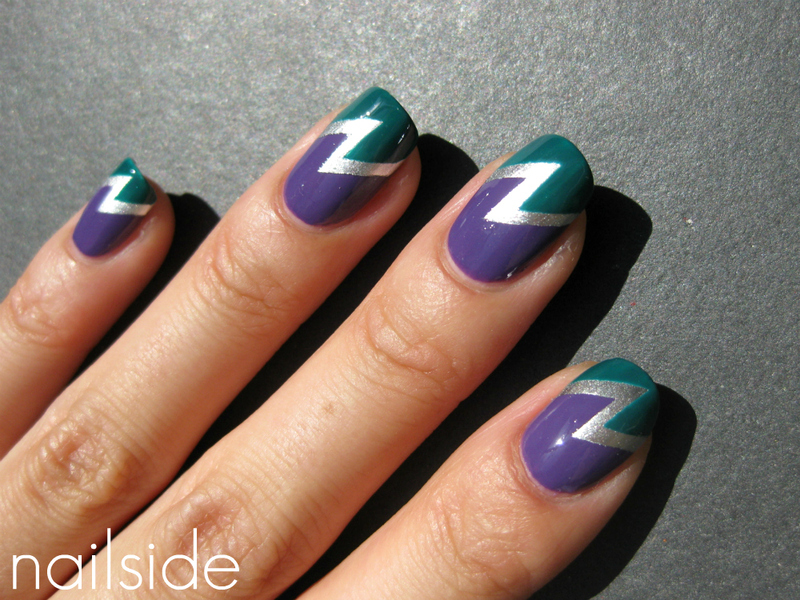 Another lovely tape mani :) I really like how these two colours look combined together! Cute! I love the silver in the middle! These never get old . The colors are gorgeous ! i think next time i'll need to not use a metallic polish, it was too unforgiving. Thank you girls for the lovely comments!! @rebecca: Aww too bad, I really want to see what you'll make of the design! And the tutorial is coming up this week! BEEEEEEEEEEEEAUTIFUL! lol love the color combo! OMG! This is so so so so beautiful! The colors go well together and the design is gorg!